I love a good handmade gift. I also love to give a good handmade gift. Naomi and Micah both had birthday parties to go to this weekend so on Wednesday before the party I decided I better get to making some gifts. I thought about doing a painting for the girls but don't know what their rooms are like. I thought about making them a dress but wasn't sure what size would work best for them. I thought about making them a little art kit but didn't have the correct items on hand to do so. 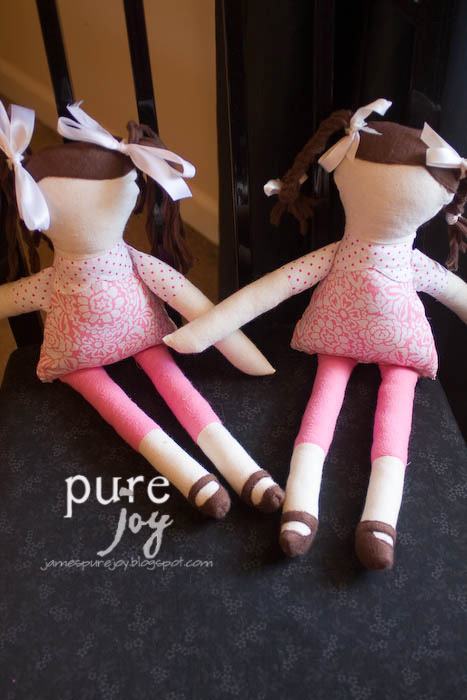 I thought about making dolls for the girls and that is what I settled on making. 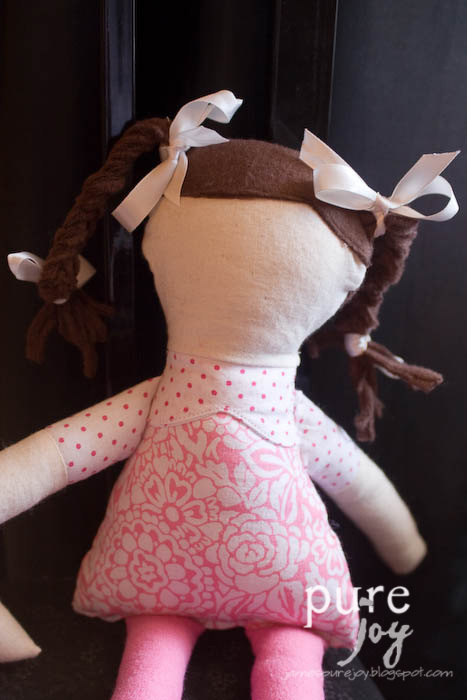 I ended up cutting out fabric to make 7 dolls so I hope to find time to finish the other 5! 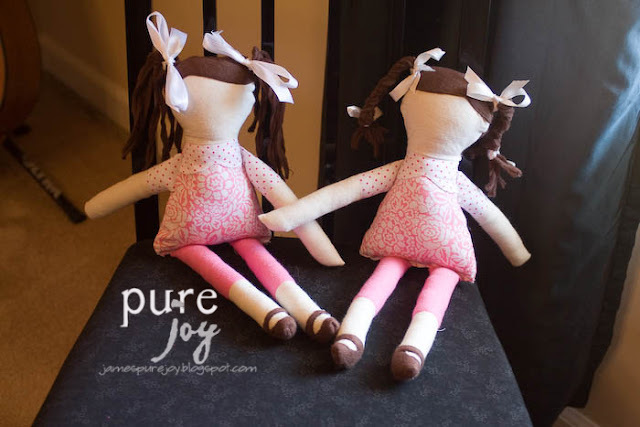 These little Ruby Lou dolls came together quite easily and the pattern from Sew Much Ado was easy to follow. 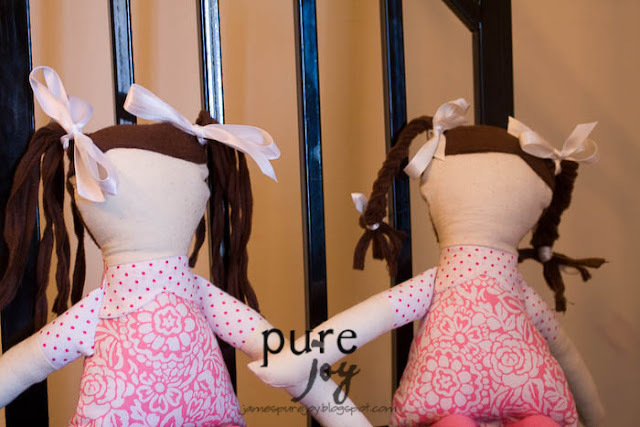 However, since I didn't start till Wed, have four kids and dinner guests on Friday the dolls did not get their skirts. I do hope to still make them and have Naomi and Micah take them to the girls later. 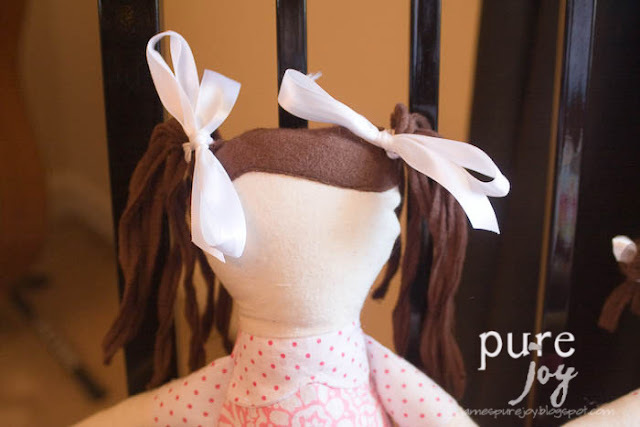 You will also notice that I did not embroider the face on the doll and there's a reason for that too. Yes, I ran out of time but I really didn't want to stitch the face on. I like leaving the faces blank so that the little girls can use their imagination even more...the doll can be happy or sad or mad or excited or surprised or whatever the little girl wants her to be. So, here are some shots of two little dolls for two little birthday girls.